Welcome to Memoirs Of A Metro Girl, a culture, lifestyle and travel blog about experiencing and living in London for both residents and visitors. Having being born and brought up in London, I am fiercely patriotic to the city and wouldn’t dream of living anywhere else. I started this blog in spring 2012 as a celebration and exploration of the history and attractions London has to offer – some well-known on the tourist trail, but also some hidden parts off the beaten track. The blog features guides to the capital’s festivals and special events, reviews of bars, restaurants, pop-ups and gigs, as well as include a historical and architectural backdrop when possible. Every month, I publish my guide to the best events on in the capital – festivals, open houses, exhibitions, etc, to help you make the most of your free time or visit to London. Click here for the latest guide. As much as I adore London, I also love leaving it! I am an avid traveller and have visited over 45 countries so far. When this city girl does leave London, expect a few travel features on my ‘You Can Take The Girl Out Of London…’ section. If you want to follow me on Twitter my handle is @memoirsofametro, ‘like’ my Facebook page or follow my Instagram account so you can keep up to date with all my new posts. If you’re organising an event, pop-up, exhibition, festival or new bar/restaurant opening you think may fit with MOAMG, use the contact form below. I kindly request any companies offering SEO, social media strategy or any other business advice to expand my blog’s audience, not to bother contacting me. I currently do not accept guest posts, although could be open to a collaboration. Thank you. Designed a Dulwich history walking tour for Routey. (October 2018). Gave expert opinion on The Student Room’s 2018 study of the best universities in the UK for nightlife. (March 2018). Guest post on my trip to Hanoi, Vietnam, on award-winning travel blog Emily Luxton. Guest post on a winter date in London for dating site DoingSomething.co.uk. Interviewed on New2London, a members’ club for internet professionals. Nominated for a Liebster Award by Lizzy at The Ropes In London. Top London food blogger on Zomato in December 2018. 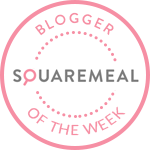 Won SquareMeal’s Blogger Of The Week for my restaurant reviews in May 2014. I’m a Londoner too – born and bred. Good to meet you. We do love your blog!! 🙂 Thanks for sharing all this good information Cheers! Really glad I stumbled across your blog today. I also blog about London and it’s always great to add more to my bucket list! I work for Triptease.com – a platform for people to discover and share their travel experiences. It’s a brilliant way to engage a whole host of new readers along with increasing traffic to your blog and I’d love for you to join us. Take a look at my profile to get an idea of what yours will look like and give me a shout if you need any help setting yours up. Thank you for visiting – pleased you liked the post on Ickworth House. I am temporarily out of London and missing it! Travelling in Brittany next – do you know it? Lots of posts to come! Love your blog! I’ll definitely be checking out The Sanderson. So glad that I have Just stumbled upon your blog, although I have lived in London all my life(71 years actually) and love this city so it’s great to learn about more . I look forward to reading about new places for me to visit. So Thank you so very much.